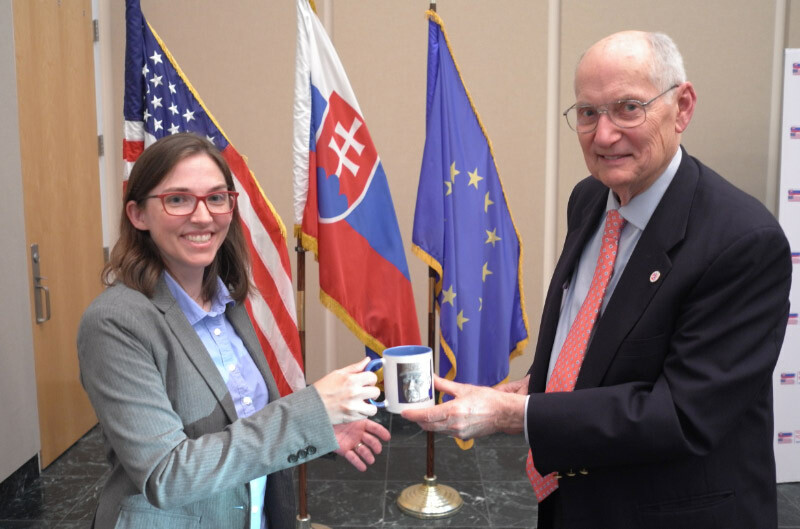 “Borders on the Move: a Look at Southern Slovakia’s Tumultuous 20th Century” was the subject of an evening lecture at the Slovak Embassy on June 15 sponsored by Friends of Slovakia and the Slovak American Society of Washington DC (SASW). Professor Leslie J. Waters of Randolph-Macon College addressed a full house audience of SASW and FOS supporters. She described the dramatic changes in the Slovak-Hungarian border in 1918 and again in 1938, 1939 and after World War II. Prof. Waters provided the political context for these changes and described the dramatic impact on local populations suddenly finding themselves ruled by a radically different political regime. 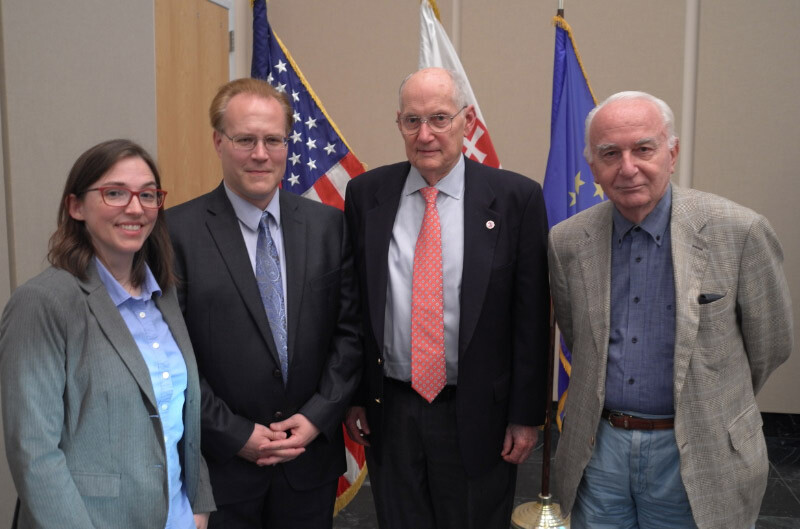 Members of the audience, including some who had lived through World War II in Slovakia, had a chance to ask questions and then socialize with Dr. Waters after the lecture. Prof. Waters, SASW President Brian Belensky, Amb. Ted Russell (Ret. ), Dr. George Mesko.